On June 11, 2017 at approximately 6:30PM, Lebanon Officers responded to a Suicide Threat call at Dartmouth-Hitchcock Medical Center. A caller had notified police that her 21-year-old friend had threatened to commit suicide and had sent pictures of his feet hanging over the bridge at the Quechee Gorge but was headed to Dartmouth-Hitchcock Medical Center. 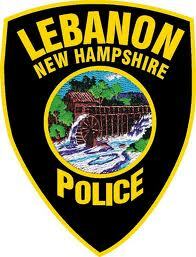 A Lebanon Officer located a vehicle belonging to the male in the parking garage at Dartmouth-Hitchcock Medical Center. Moments later, Dartmouth-Hitchcock Medical Center Security located the male standing on the ledge at the top of the parking garage roof looking down, about five stories above the ground. Members of the Lebanon Crisis Intervention Team attempted to initiate dialogue with the male but he would not respond. After several minutes, officers became concerned that the male was going to jump or fall so they made the decision to rescue him from the edge. An officer and a Dartmouth-Hitchcock Medical Center Security Officer were able to approach the male and simultaneously grab him and pull him from the ledge. Officers and Security were able to restrain the man and bring him into the hospital for a mental health evaluation.